Do you want to track and grow customer relationships but you don’t have an expensive CRM solution to help you? 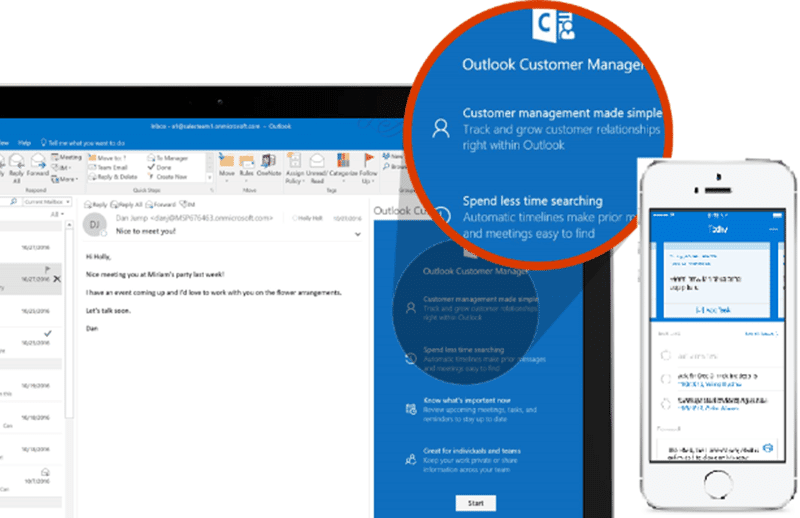 Microsoft has now made available a Customer Manager add-on to Outlook, at no extra cost! Chances are you have already joined the rest of the world in migrating your email to Office 365 and possibly you are also running Outlook on your PC/tablet/phone/browser. If not, don’t get left behind, let us help. Outlook Customer Manager is now rolling out to all Office 365 Business Premium subscribers worldwide, and is also now available for Outlook on the web and Outlook for iOS. Outlook Customer Manager automatically organizes information, including emails, meetings, calls, notes, tasks, deals, and deadlines, all in one place, from several devices. It seems we are running out of excuses to not have a successful business! Call our Sales Team on 0330 124 3599 now to find out more!